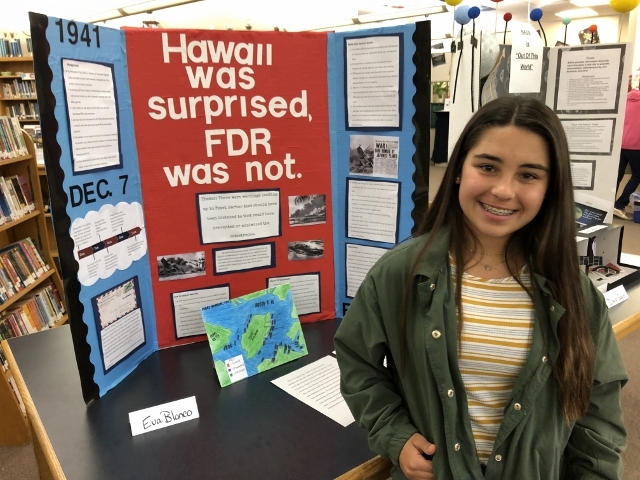 MARGATE – The Eugene A. Tighe School’s fourth annual History Fair allowed students to share their perspectives on historical events. 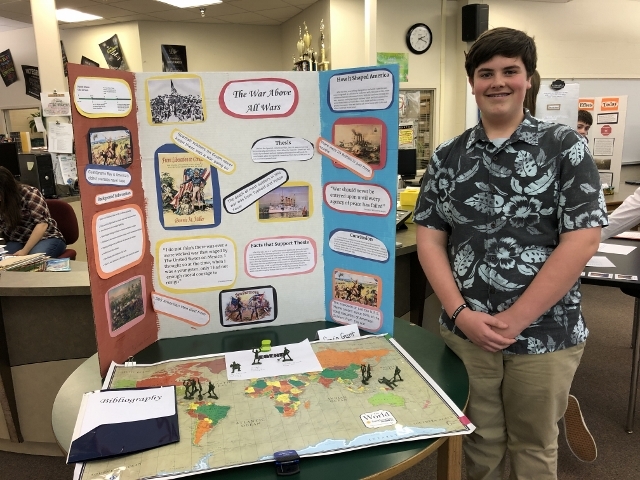 According to social studies teacher Kathy Styles-Landgraf, students worked for six weeks on their historical thesis and presentations before presenting them to parents and members of the community Wednesday, April 10. 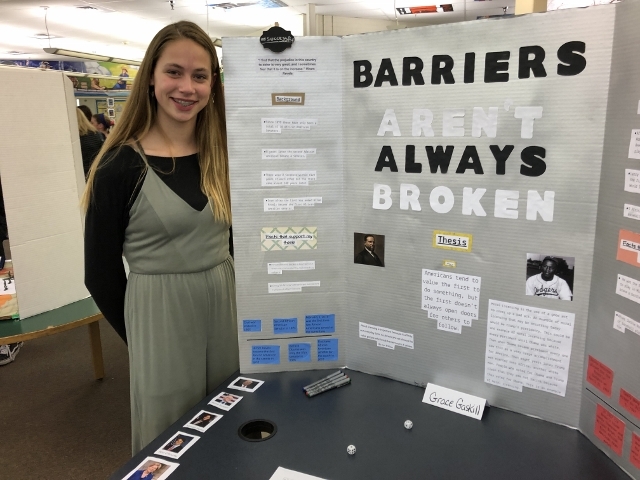 She collaborated with media specialist Chauncey Fitzgerald, who provided research assistance to the students. 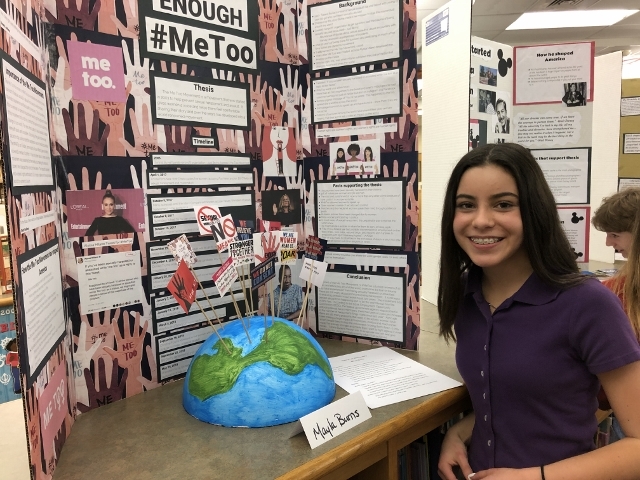 “They picked their own topics and were required to create an artifact and cite all their sources in the bibliography,” Styles-Landgraf said. 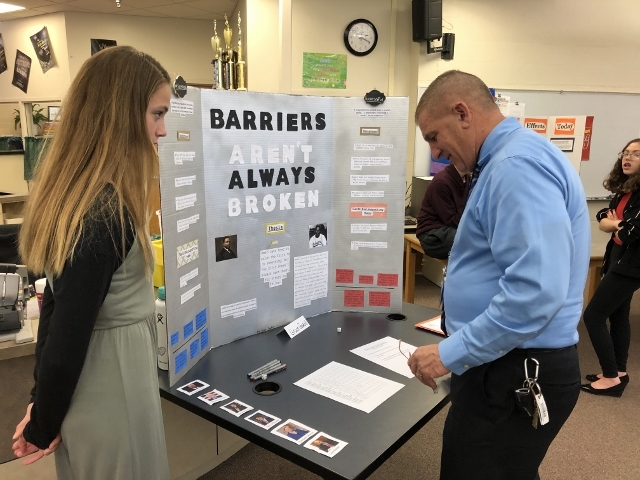 No prizes were awarded, but students were graded on their research and presentation, which counted for two test scores, she said. 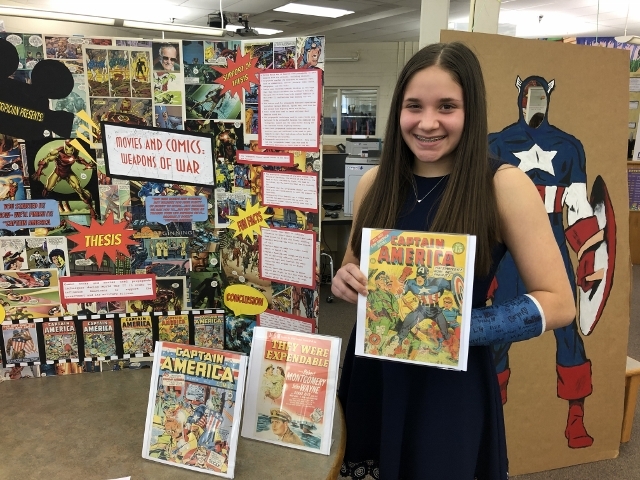 Kallan Tripician chose to do her project on how comic books and movies were used as weapons of war during World War II. 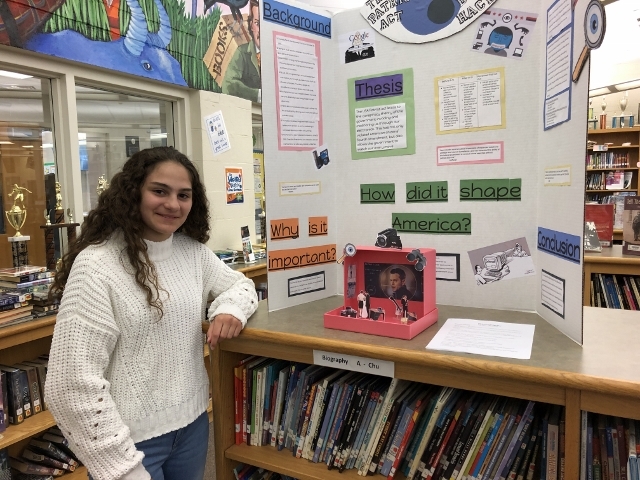 She researched popular comic books and movies used as propaganda, including Captain America and a movie by famed Hollywood director Frank Capra. 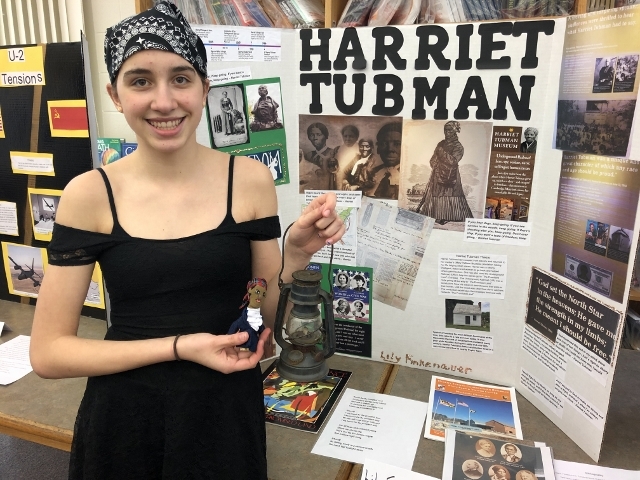 Lily Finkenaur chose American historical figure Harriet Tubman, who rescued more than 300 slaves during the Civil War. Joey Pepe used two of his Battleship games to demonstrate the Miracle at Midway. “The U.S. was outnumbered by Japanese ships but won the battle because they broke a Japanese code that Japan was going to take the Midway Atoll,” he said. Pepe said he has an interest in history, but joining the military is not in his future. 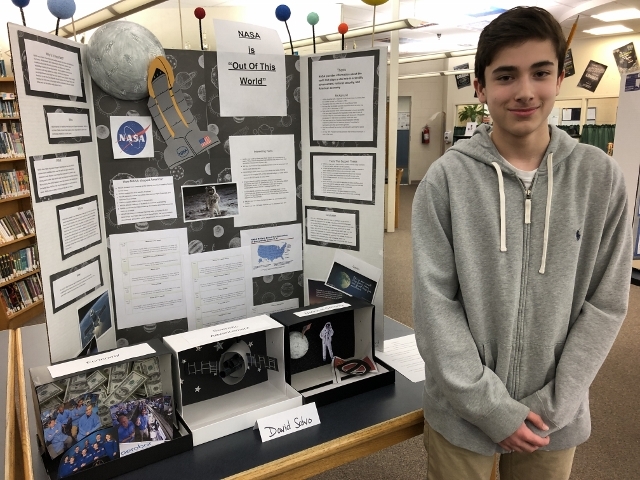 “War is horrible, but I like learning about it more than politics,” he said. 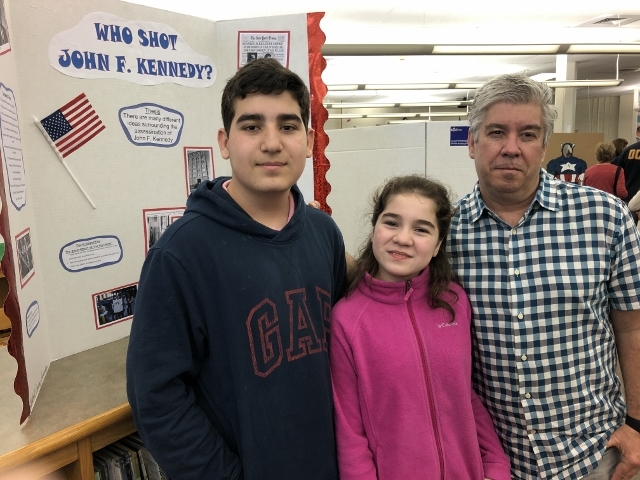 Gabe Ramirez Fernandez, who came to Margate three years ago from Venezuela, chose to report on the assassination of President John F. Kennedy, and the “magic bullet” that killed him. Gabe Ramirez Fernandez with sister and dad. He said after conducting research, he believes there were other people besides Lee Harvey Oswald involved in the murder. 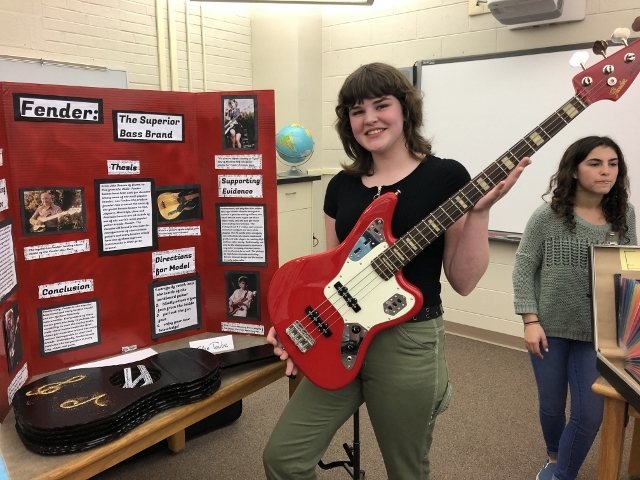 Ellie Taube, who plays bass guitar in the rock band, Lavender Bones, selected Leo Fender for her research project. Taube said her Fender guitar produces the “crisp” sound Fender is known for. She uses it during gigs and practices with band mates in Red Bank. 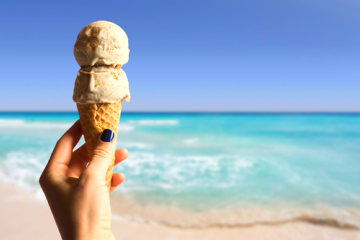 Taube said she would play during the upcoming Ventnor City Block Party and has additional gigs planned for summer. 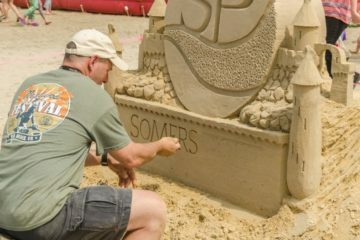 She also manufactured an acoustic guitar made out of cardboard and placed fun facts about Fender in the hole. 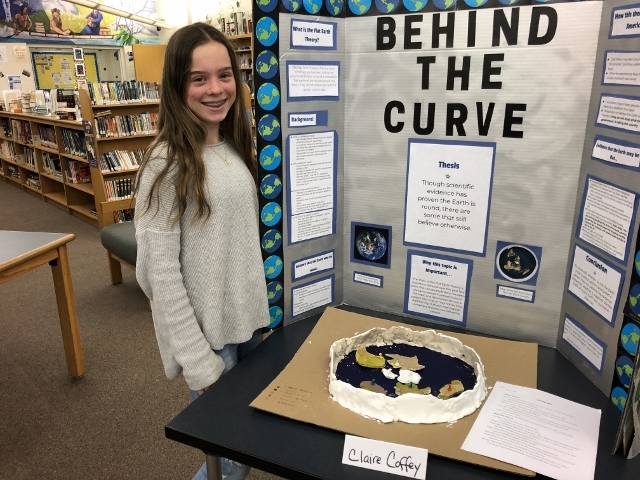 Claire Coffey’s flat Earth model showed that conspiracy theorists still believe the Earth is flat. 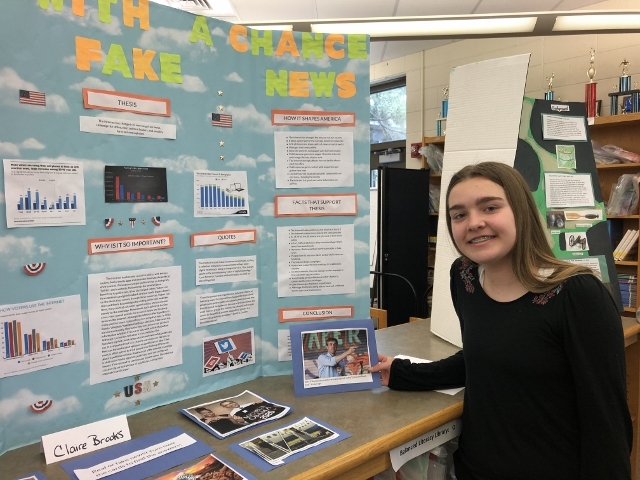 Investigating how “fake news” informs political opinion, Claire Brooks said she visited political and news websites for her research project. “It affects how people vote,” she said, citing that President Donald Trump received $4.9 billion worth of free media coverage, $3 billion of it from online news sources.